A major search was mounted on the Scotland-England border after a walker was reported missing. Three rescue teams and a Coastguard helicopter joined the operation to find the 74-year-old who got lost on the Border Ridge on Friday night. The Border Search and Rescue Unit was alerted by Police Scotland about 8.20pm when the walker’s wife reported him overdue from a walk between Carter Bar and Cocklawfoot. The team requested the help of the Northumberland National Park and the North of Tyne Mountain Rescue Teams south of the border, and the Prestwick Coastguard helicopter. The walker’s wife raised the alarm when night fell and he had not arrived at their meeting point at Cocklawfoot in the Bowmont Valley. She had last seen him at Phillip’s Cross, a few kilometres from Carter Bar. Rescuers were left with a 25km-long route to search. A BSRU spokesperson said: “The man was an experienced walker but due to information received that he was in his 70s and was wearing shorts and only a light waterproof jacket, with limited food and water, no torch or mobile phone, we mounted a speedy response. 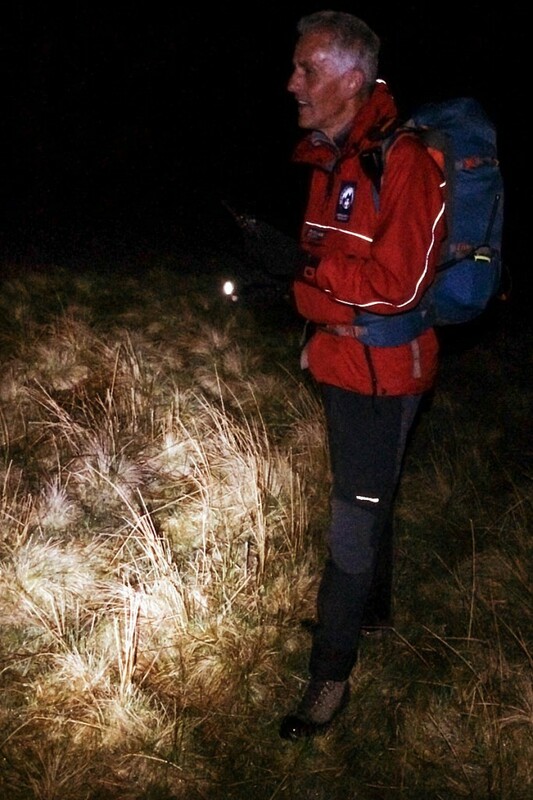 “Over a dozen of our team members then began the search from the north side of the border as our colleagues from Northumberland National Park MRT and North of Tyne MRT began the climb to the border ridge from the South. “With the potential search area being huge, we deployed in small groups from various locations and called in air support in the form of the MCA helicopter from Prestwick. “As we were beginning our search and the helicopter was over-flying the hills leading from Carter Bar towards the Pennine Way, we’re glad to say that we got a call to say that the missing 74-year-old had turned up safe and well at Barrowburn Farm, on the English side of the border. “Having reached Windy Gyle, he’d headed south instead of north and descended into a valley 180 degrees in the wrong direction. The spokesperson said, with nights getting lighter and many people heading for the hills in clear weather with blue skies, some do not appreciate how quickly the weather can change or that if they take longer than planned, they may be hiking in the dark. “That’s why it’s important that folks take essential kit with them and know how to use it,” the spokesperson said. “Our missing person had a map but as a bare minimum, decent waterproofs – top and trousers – should also be carried as well as a compass, torch, map, whistle, first aid kit and a basic emergency blanket or bothy shelter for potential unplanned stops. The team dismissed suggestions that providing more signposts in the Cheviot Hills might reduce the instances of lost walkers. “Some people have queried whether better signage on the hills would help in situations like this. “The Pennine Way is well marked but we feel that putting signposts on every path junction would lead to fewer people having the navigation skills required to find their way in other situations, for example, when the cloud comes down. “Sometimes, the mist is so thick that finding a signpost could be challenging. A Northumberland National Park MRT spokesperson said temperatures on the Border Ridge were dropping to near zero. The spokesperson for the English teams said: “Walkers are reminded that they should have an up-to-date map and compass, and know how to use them. The teams on the south side of the Border thanked the farmer and his wife at Barrowburn for their hospitality, and much needed cups of tea. 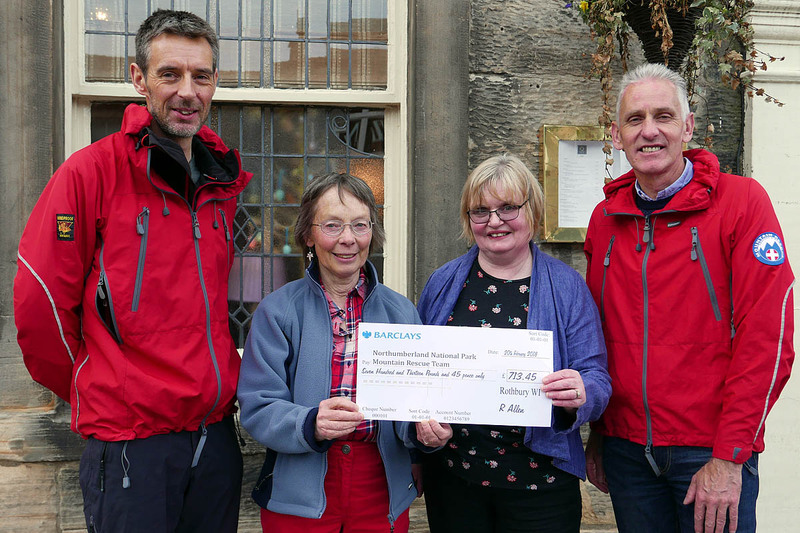 The Northumberland National Park team received a boost to its funds when Rothbury Women’s Institute handed over cash from some of its activities. The group presented the rescuers with a cheque for £713, from fundraisers including a secret book stall, plant sale, raffles, street fair litter pick, cake stalls, jarbolas (jar tombolas), harvest festival fundraiser and a car treasure hunt. NNPMRT’s team leader Iain Nixon said “The support for the mountain rescue team provided by the Rothbury WI, and indeed the whole local community in the village, is unwavering. How many times must you repeat the basic means of 'how to keep safe on the mountains' it seems that this advice goes over the heads of some people. Thank goodness for your continuous efforts to keep people safe. Well done. ‘Home from Home’ BBC – Series 1 Episode 2 ‘Into Thin Air’ - this might help if people watch it. I assume he had no compass. 180 degrees out is a schoolboy error.